So my apologies that this post has only just gone up, real life got in the way. 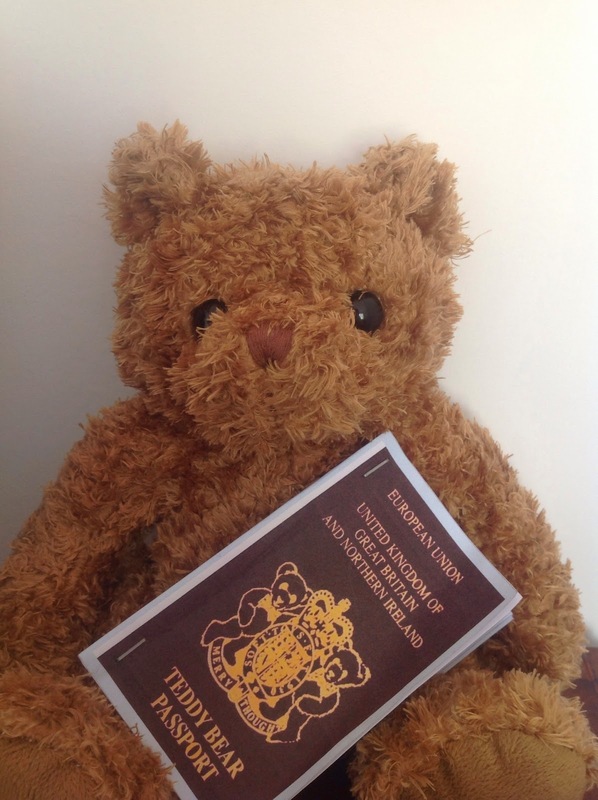 Blogger Bear has had his first trip ABROAD. And let us not get into the fact that the bear has been on more holidays than me this year!!!!!! Over to the lovely Tattooed Mummy and Blogger Bear to let us know how their THREE WEEKS went. We stayed last night in a posh hotel (as befits a bear of my standing) in West Hollywood. Today we are driving up Highway 1 (the pacific cost highway) and as O2 suggested I 'be more dog' I have hired a convertible car so that I can stick my head out! I'm not sure the chauffeur is very experienced to be honest. Last night's motel is best not spoken of. 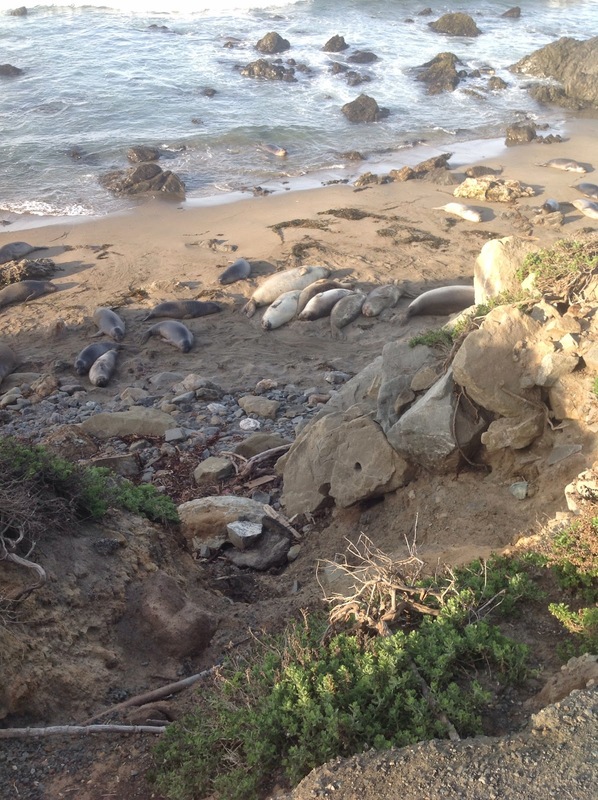 Today we drove onward to San Francisco, stopping en route to visit the elephant seals. I think they have a good life, lazing in the sand or swimming all day. We had breakfast at a pancake place - *Note to bears* syrups gets in your fur. I tried to plan the day but no one liked my idea of visiting Hooters for some reason. 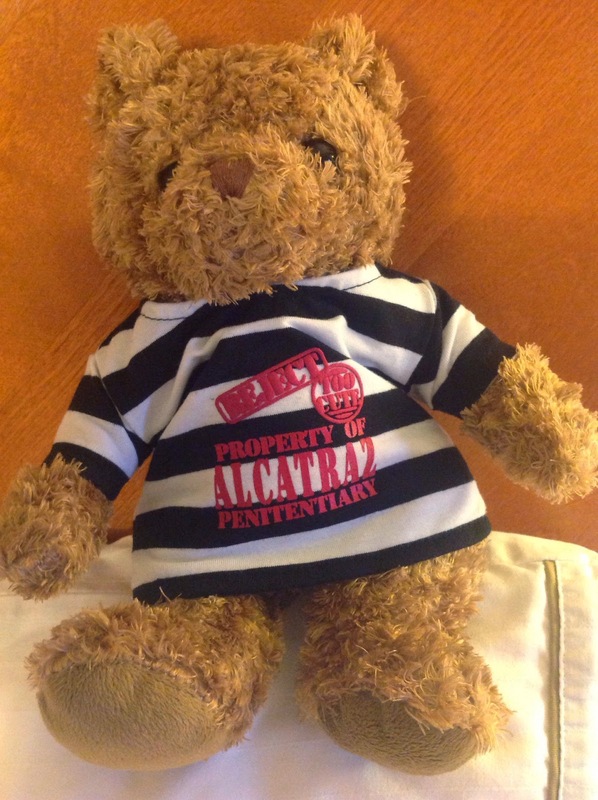 We visited Alcatraz and I have been given a prison uniform! I declared my innocence. Later we drove south down interstate 5, we had the top down and my ears nearly blew off! Some nice views though, lots of nut orchards and cows. 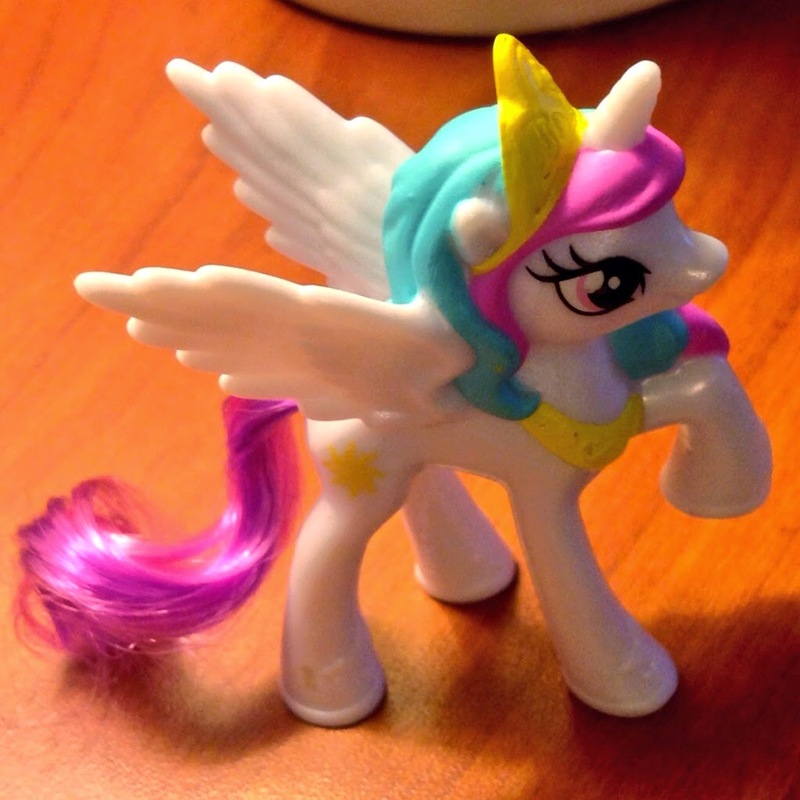 I made a new friend at McDonalds, she seems nice, very Hollywood and high maintenance though. They went to Six Flags Magic Mountain. The roller coasters there are HUGE. Luckily I was far too small to go on any of them, I stayed at the hotel and watched TV all day. I lay be the pool all day. I couldn't swim as I forgot my trunks. 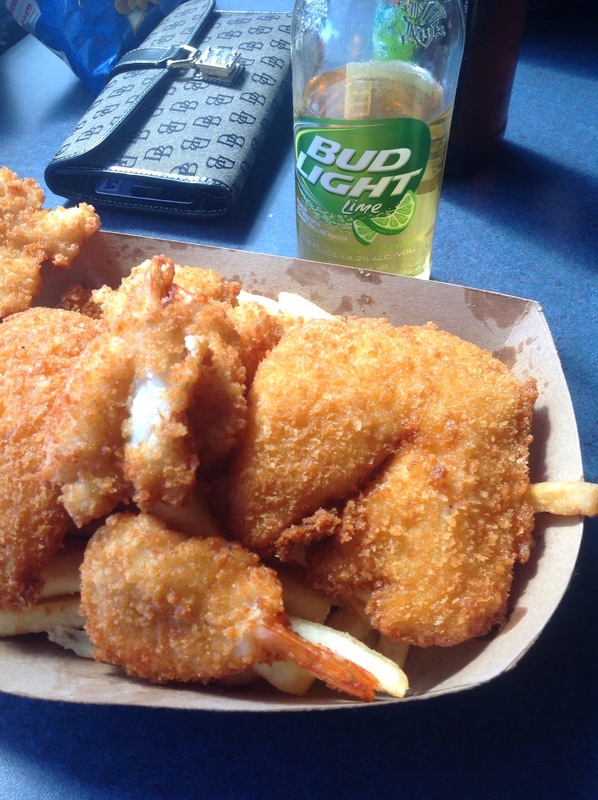 Fish and chips at a biker bar for lunch. Everyone went whale watching except me! But I had the last laugh as they didn't see any whales! I ordered beer and put it on the room tab, no one knows. 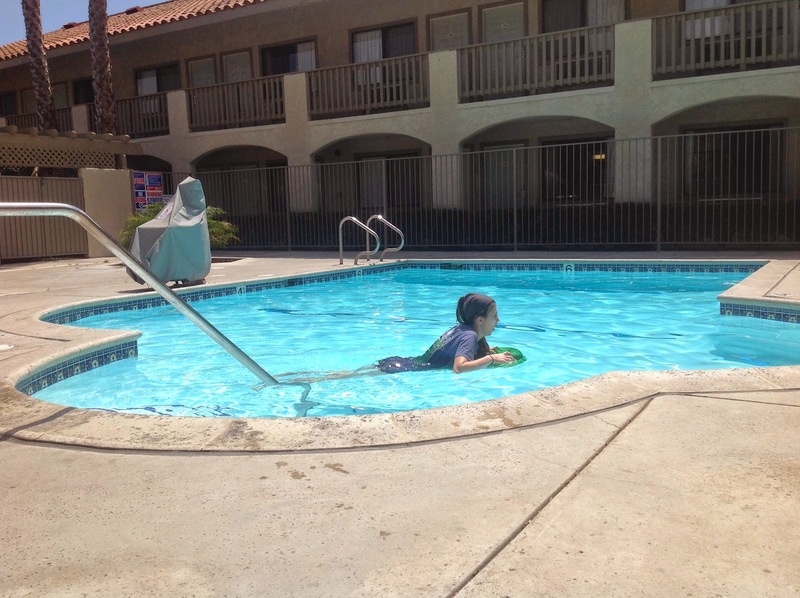 Another day of pool lazing and shopping, I could get used to this. We visited Disneyland. The happiest place on earth. everyone wears mouse ears here and there are bears about. I was tempted to get a job here and stay. I felt very at home. Drove back to the posh hotel in Hollywood. It's nearly time to go home. I feel quite the seasoned traveller. Home time, brief panic when I couldn't find my passport or the number of the cute skunk I met at Disneyland. Finally all packed up and ready to go though. The flight was terribly long but not boring, we had movies and TV on little screens, I liked Virgin Atlantic! Can't wait for my next adventure. 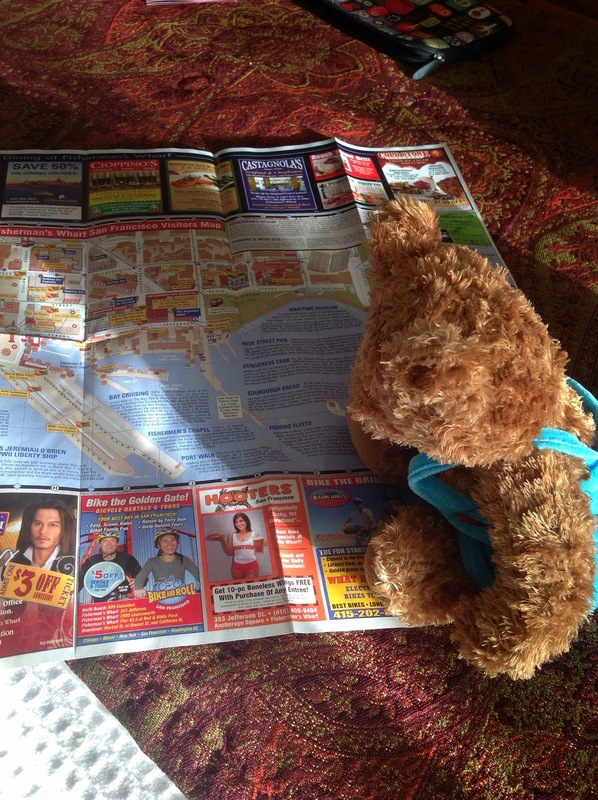 Ah what a trip for blogger bear!! 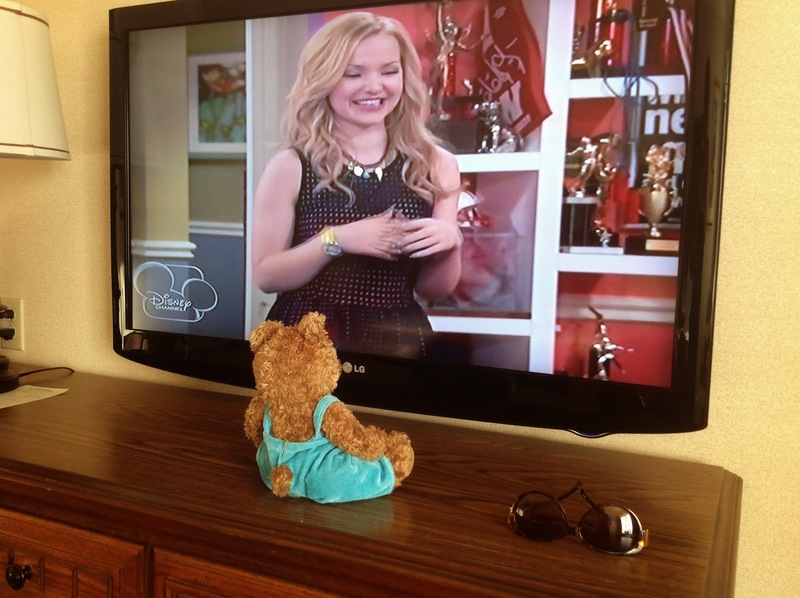 I am jealous of Blogger Bear!